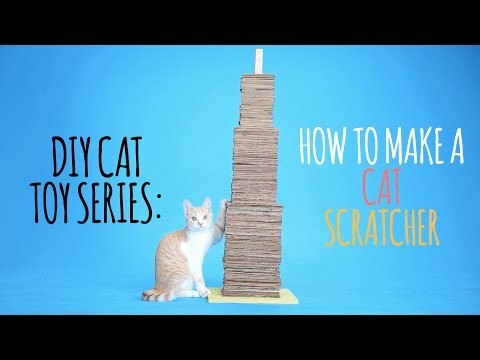 There are 5 cat videos tagged with friskies. 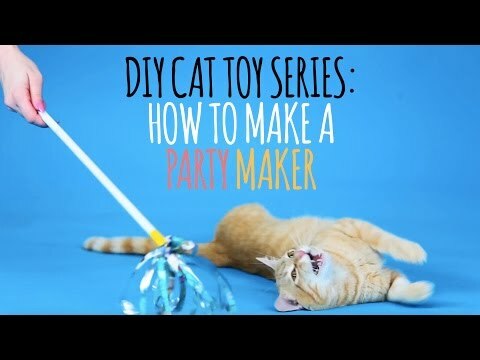 Welcome to the Friskies Do-It-Yourself Toy Maker Series! 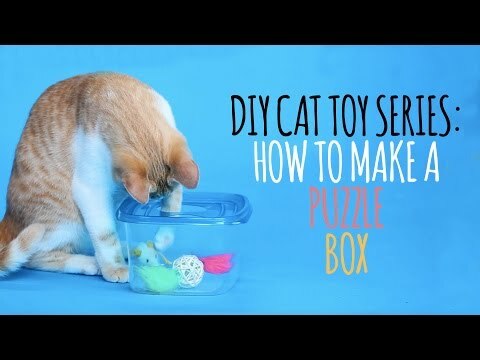 Today we'll be making the puzzle box. - 1 blade – be careful! - 1 plastic container. Preferably clean! - Using your glass, trace two circles on the lid of your container. - Very carefully, cut the circles out of the lid. 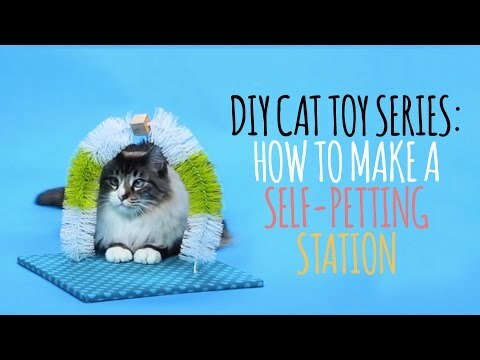 - Throw a couple of your cat’s favorite toys inside…. And secure the lid. …nope! Good for hours of fun!